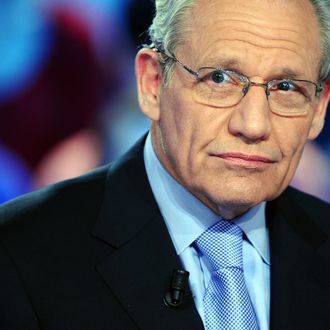 Bob Woodward is taking a break from churning out books about the current president every few years and going back to the man who started it all. Simon & Schuster announced Thursday that his next book, The Last of the President’s Men, will focus on Alexander Butterfield, the White House aide who revealed during the Senate Watergate hearings in 1973 that President Richard Nixon had a secret recording system installed in the Oval Office. The book, which will be published October 13, is based on recent interviews with Butterfield and thousands of previously unreleased documents, revealing “never before published anecdotes and incidents.” If you’re a fan of decades-old presidential gossip, this is really your year.